Hi! It's Terri from The Creative Apple Teaching Resources. Today I will be sharing one of my all-time favorites as far as organization goes. How many of you love task cards but really hate the idea of keeping up with all of them? Let's just say that I try *really* hard to be an organized teacher. I've accumulated so many different things that I often times forget what great things I have. That is especially true for task cards! Then once upon a time, I found some super cute basket at the Target Dollar Spot. What was I going to use these super cute baskets for? I had no idea, but I knew I needed them. Can you relate? I'm sure you can! While they were sitting on my shelf... 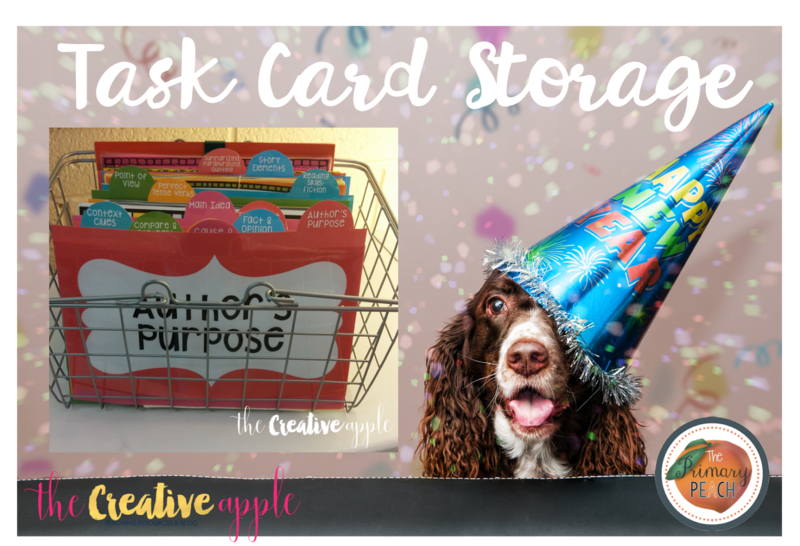 I came up with the grand idea to create a storage area for my task cards. So, I got busy measuring, creating, printing, laminating... and when I was done, it was the.best.thing.ever! They were super cute and easily fit all types of task cards. 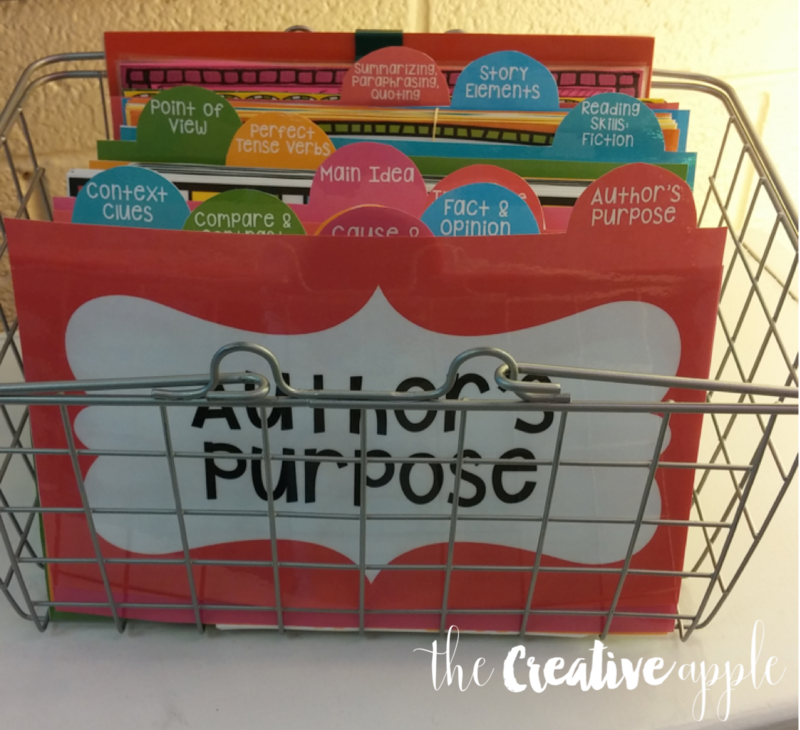 Now when I am teaching a particular skill, I just go over to my task card basket and pull them out. The best thing is that even my 5th graders can find what they are looking for. Now, I know Target no longer has these baskets, but I'm sure you can find something similar in size. You can go grab your free set from my TPT store here.